Do you ever have days when you wish you had at least six more hours of time to get all the things done you need to get done? That's where I find myself right about now. I decided to totally redo my craft studio which wouldn't be so bad if I had planned better for all the upcoming projects I have to get done. Swap cards, Design Team cards, blog hop cards not to mention all the normal every day chores that need attention. But, I have to say it has been a great day even with all there is on my schedule. My plan is to get it all done tonight and tomorrow because come Friday, my new 2015-2016 Annual Catalog will be here and I'll be making that wish list! Today's card is a blend of the Fab Friday colors and the sketch from CAS(E) this Sketch. I am so going to miss all the 2013-2015 In Colors. Baked Brown Sugar has turned out to be such a favorite. The sketch I used is from the current CAS(E) this Sketch Challenge. The colors I used are from the current Fab Friday Challenge. Thanks, Leigh! It was a fun sketch to use. Pretty! I like how you "hung" your tag on the rhinestone! Thanks for sharing at Fab Friday! We're so happy you chose to play along with our challenge at Fab Friday, Marsha! 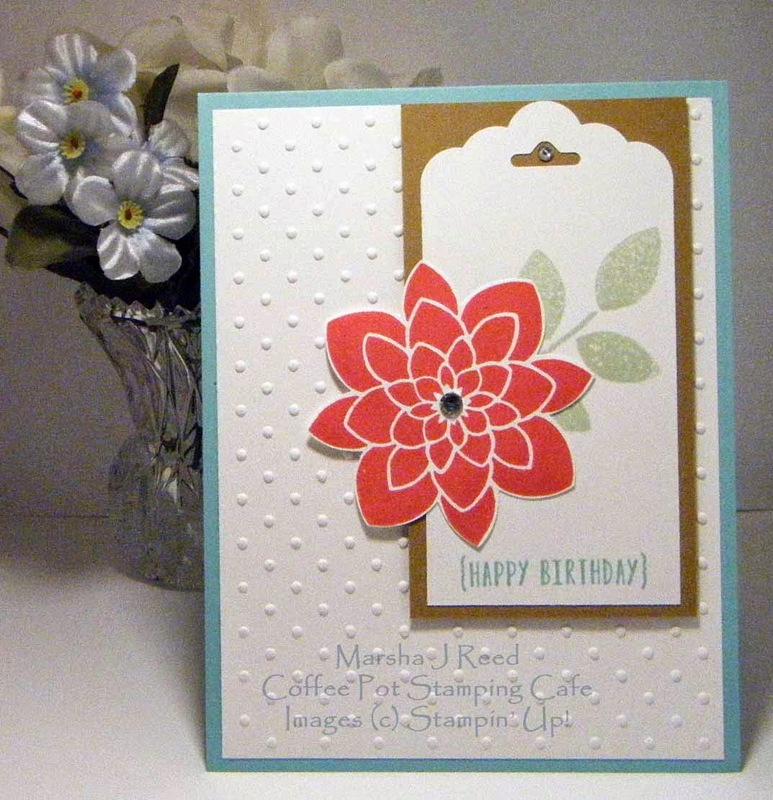 Your flower makes a gorgeous focal point on your pretty card. 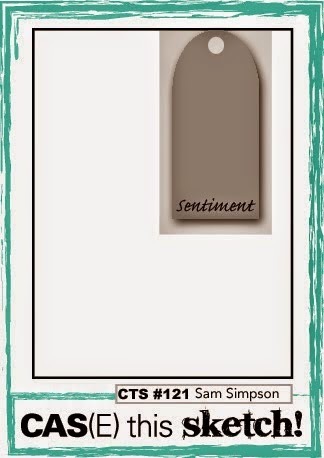 I love the way you used Coastal Cabana for the card base and sentiment. It's subtle and lets the flower shine. Thanks so much, Cindy! 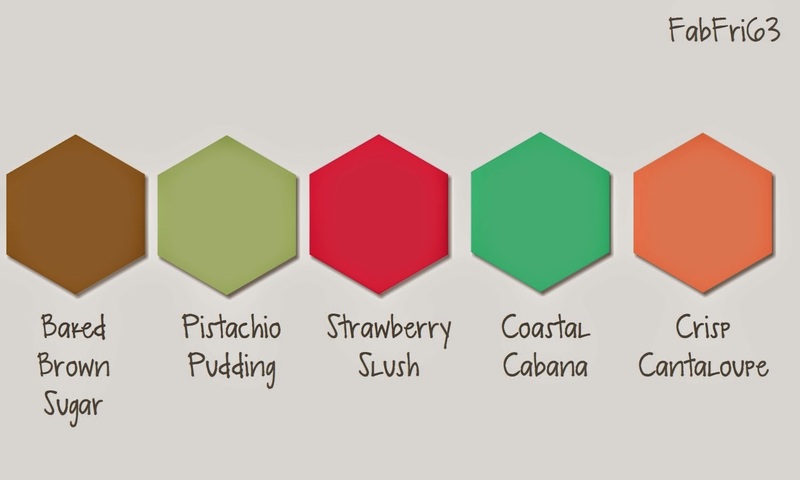 I love these colors and am sad to see them retire. But the new ones are great, too!